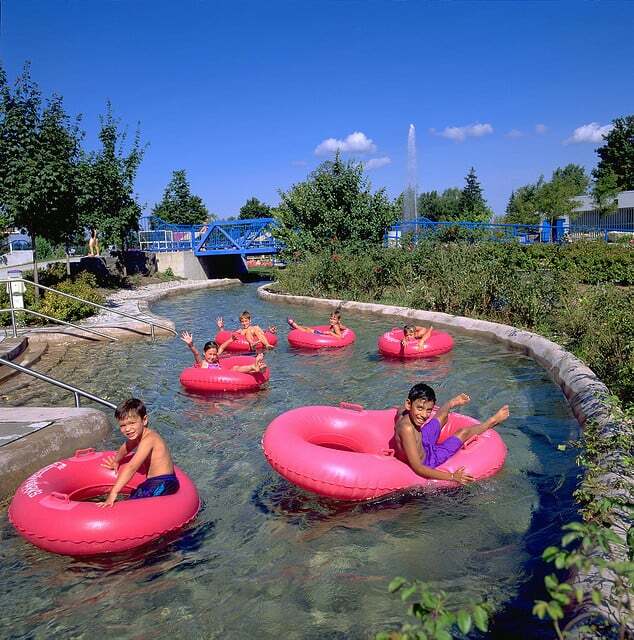 Welcome to Wild Waterworks at Confederation Beach Park, an 93-hectare package of fun and adventure located on the shores of Lake Ontario in Hamilton. Here you'll find some of the area's best food and fun throughout the year. There's plenty of park space for sports, games and other activities. Do the Works with your family and friends at any of our outdoor attractions - from go-karts, batting cages, mini golf, and Wild Waterworks, to restaurants like Hutch's and Baranga's on the Beach. There's also the Lakeland Centre, featuring a swimming pool, splash pad, volleyball & basketball courts and banquet hall. Confederation Beach Park’s beautiful lakefront location makes it a popular spot for summer picnics and gatherings. As a City of Hamilton property managed by HCA, no fees are collected for entrance to the park, however, there are certain requirements for planning picnics, events and other special occasions. 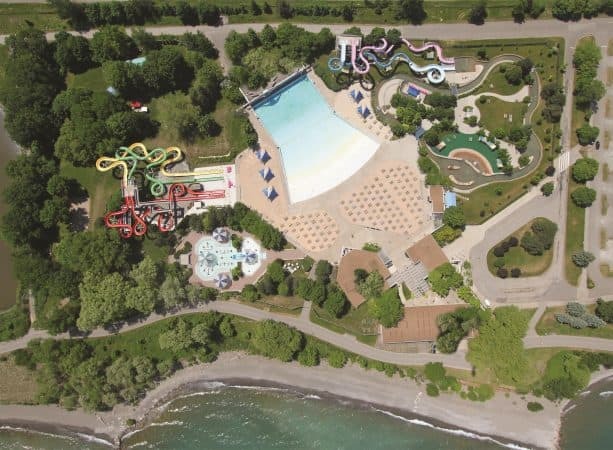 This allows Confederation Beach Park to better manage the different user groups and ensures that your group can be accommodated, rather than face the possibility of being turned away if prior arrangements have not been made. It also ensures that staffing levels are appropriate for the level of visitors entering the park that day, so that we can keep Confederation Beach Park clean, safe and enjoyable for all. Take a scenic stroll, bike ride or skate along the 4.3 kilometre Hamilton Beach Trail. This promenade connects to the Waterfront Trail that runs another 4.2 kms west to Burlington ship canal. Picturesque views of the shoreline and plenty of park space make this a perfect spot for any outing. Ride the waves in one of Canada’s largest outdoor wave pools. Over five million litres of heated water splashes down every minute. Splash around in our most popular attraction! With a sloped entry, the wave pool is a family friendly pool that caters for all ages and abilities. Get lost in the dark or race to the bottom as you slide 5.5 stories down these mind blowing tube rides and plunge into the Eazy river! Enjoy the rush as you barrel down the unexpected twists and drops of these two exhilarating tube slides! The fun continues with the heart pounding twists and turns of the park's six-story high body slides! Enjoy the relaxation of the Eazy River as you float effortlessly and soak up the sun during this ride! Toddlers will love this fun wading pool with slides, sprays, mists and fountains.